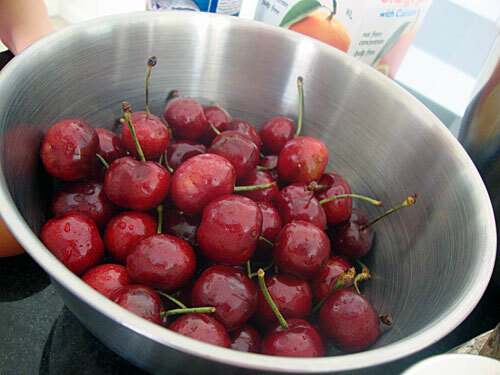 Remember my craving for a cherry-filled day? 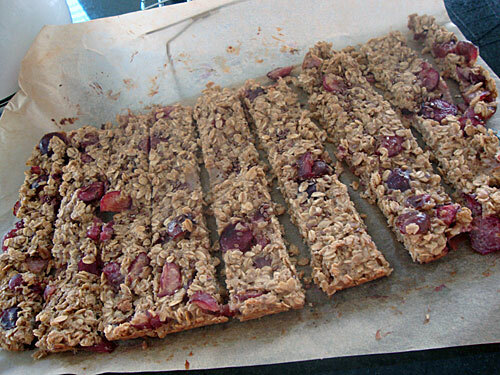 And then when I was thinking about packing cherry oatmeal bars as a snack for the kids while we traveled to the east coast? 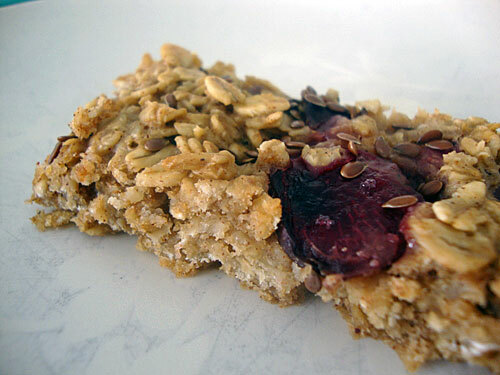 Well, yes.... the kids and I did make those Cherry Orange Oatmeal Bars before our trip. We followed the recipe from Whole Foods.... definitely pretty good. 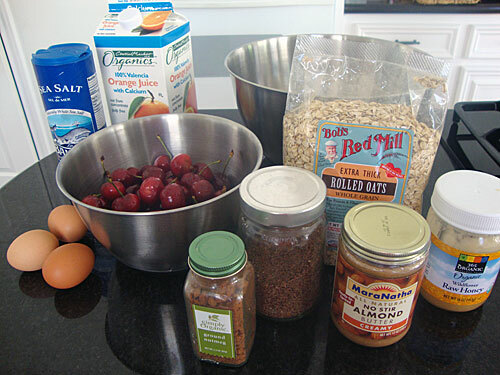 The recipe calls for dried cherries (or cranberries or even chocolate chips), but at the moment we're all about fresh cherries and their plump and juicy flavor, so we used these cherries... yum. 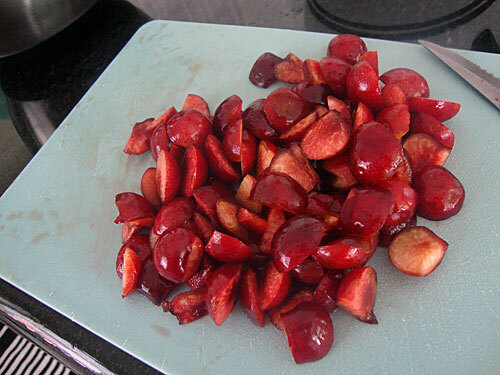 I removed the pits, then quartered the cherries. Preheat oven to 350F. 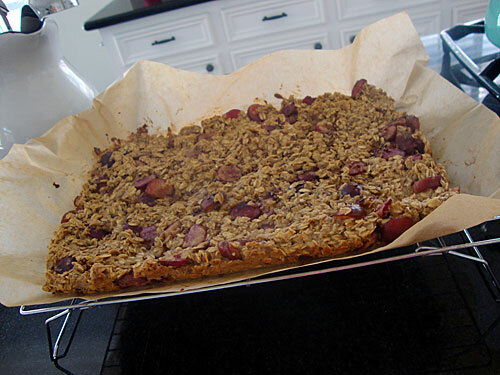 Lightly spray an 8-inch square pan with oil; set aside. 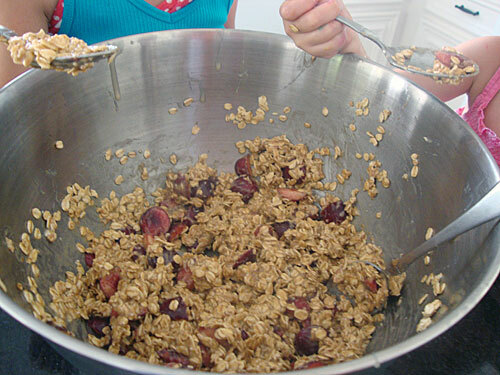 Mix together oats, almond butter, cherries, orange juice, honey, nutmeg, salt and egg whites in a bowl; press firmly into pan. 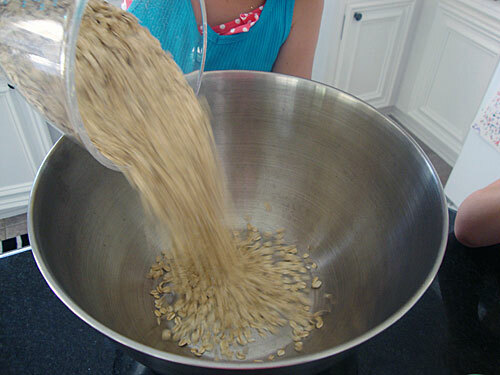 Bake until golden brown around the edges, about 35 minutes. 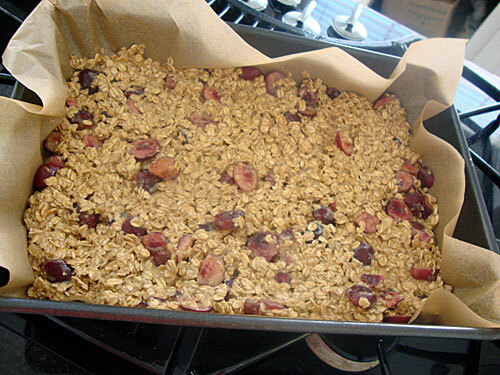 Let cool 5 minutes, sprinkle flaxseed over the top, let cool completely, cut into bars and serve.